During the annual meeting of the American Society of Clinical Oncology (ASCO), researchers at the Mayo Clinic in Arizona and Minnesota will present the results of a study of Polyphenon E in chronic lymphocytic leukemia (CLL) patients. 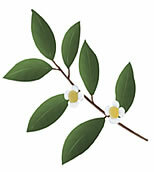 The active substance in Polyphenon E Ointment is a green tea extract containing catechin — an antioxidant. A company called MediGene developed this drug to treat various skin tumors. Known as Polyphenon E, green tea extract is made from decaffeinated green tea, and contains catechins (antioxidants). It’s approved by the FDA to treat genital warts and is being studied to treat prostate cancer.